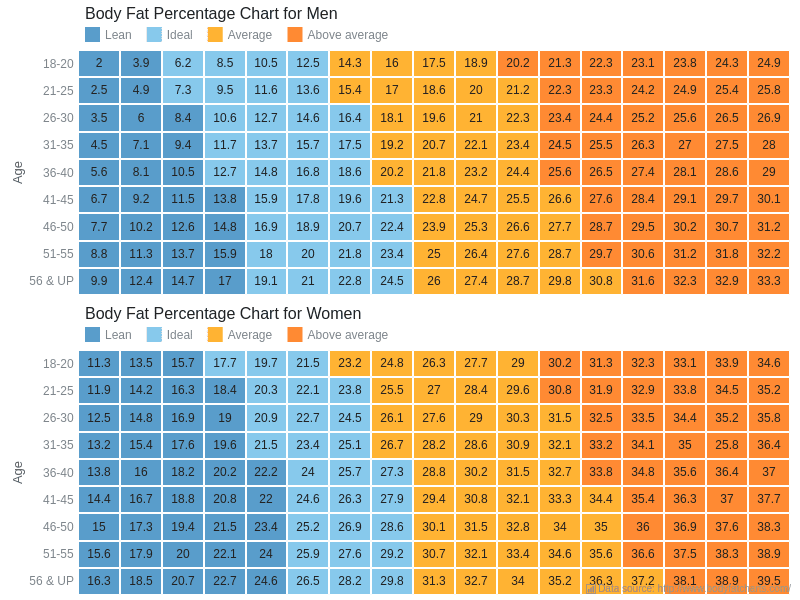 Body Fat ChartsThis dashboard contains two heat maps showing body fat percentage of men amd wemen with four ranges each of different body types, from lean to above average, using one color scale with four ranges and a legend for heat map. 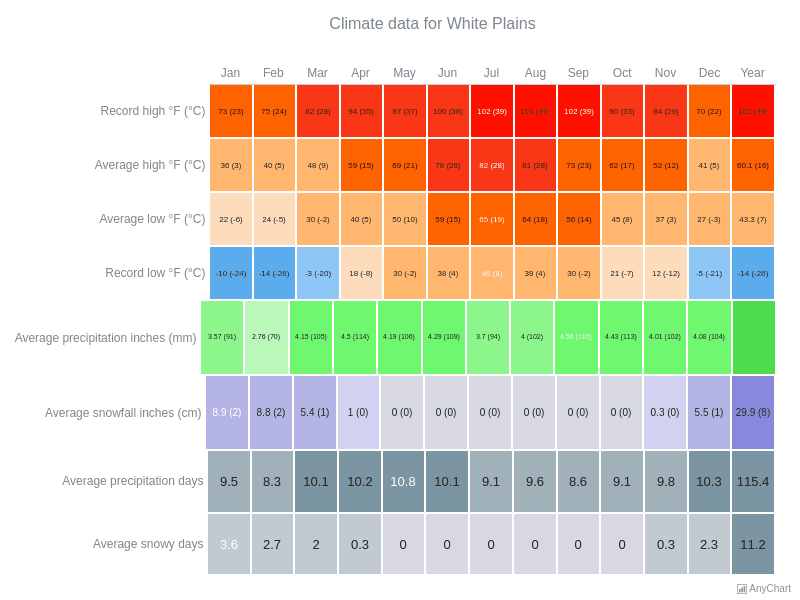 Climate Data for White PlainsA Heat Map with 4 different charts describing maximum, average and low temperatures, inches of precipitations and precipitation days. Charts use different color scales. 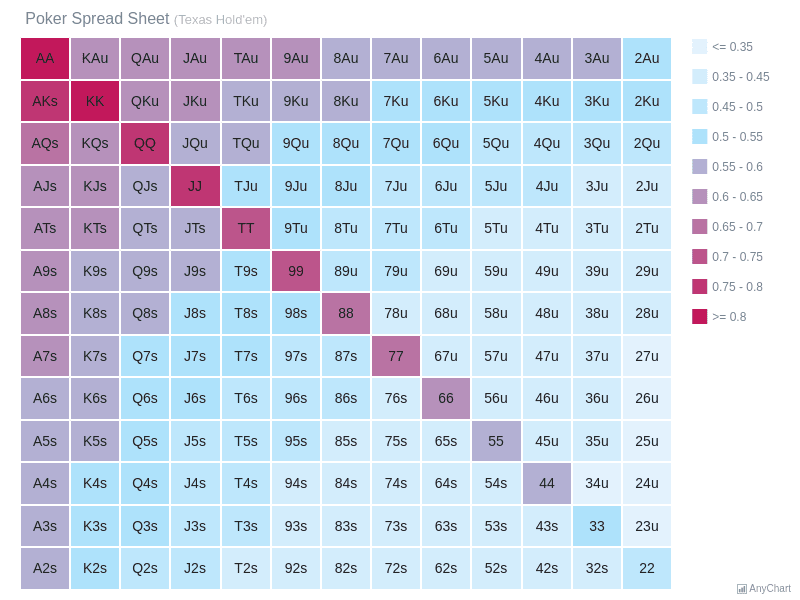 Heat Map in PokerThis Heat Map is a demonstration of Texas Hold'em Poker spread sheet. It shows, which cards combinations are more likely to win or lose. 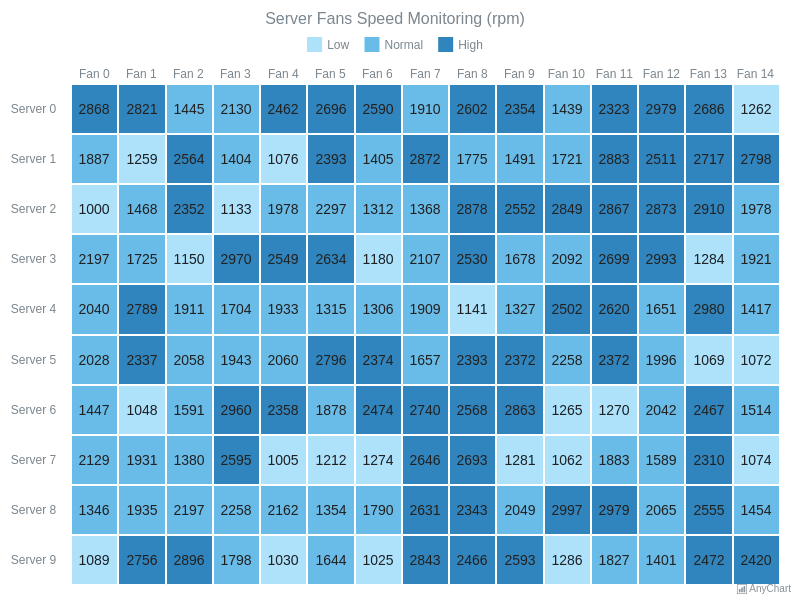 Heat Map with ColorScaleA Heat Map demonstrating a server working with three ranges for three server fan speed states: low, medium and high. Legend helps to find the appropriate values on the map. Heat Map with ScrollThis Heat Map has a large array of data, so it use two scrollers: horizontal and vertical for the X-Axis and Y-Axis. 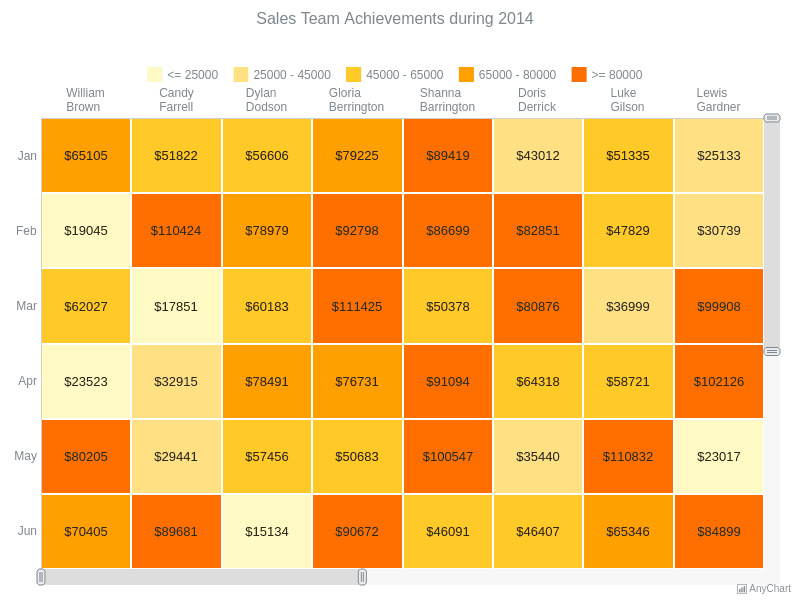 Scrollers make it possible to enlarge the heat map to see the elements more clear. 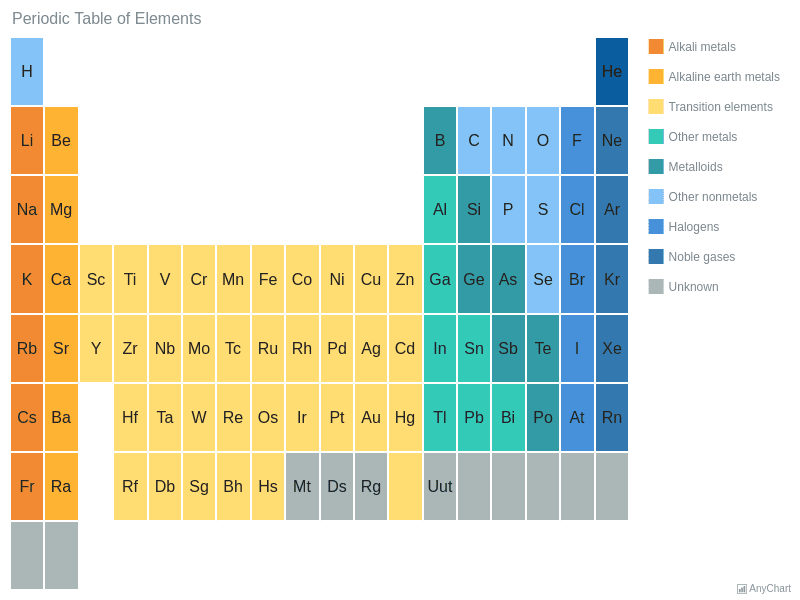 Periodic TableThis Heat Map represents the Mendeleev's periodic table, colored according to the element types, which all are mentioned in the legend. 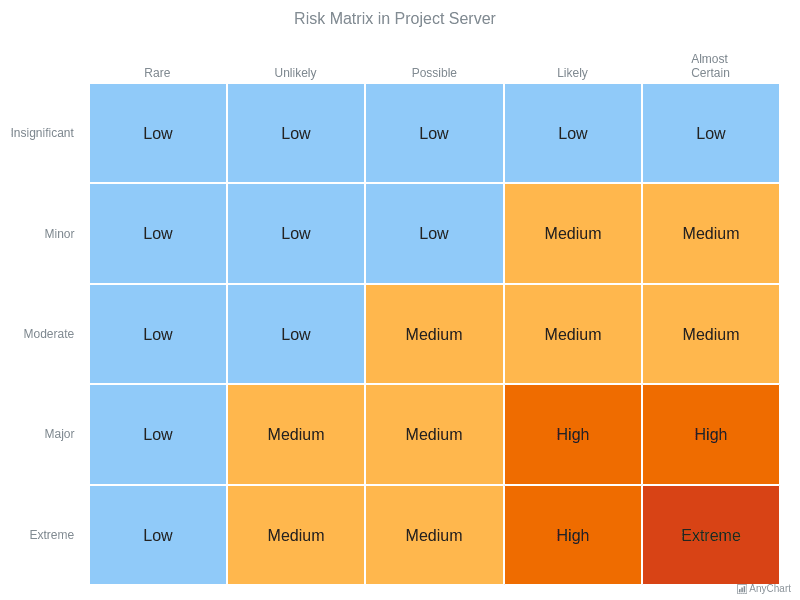 Risk MatrixThis Heat Map shows the levels of risk depending on the frequency and the severity of errors on a server. Both parameters have 5 grades: from low (rare) to extreme (almost certain).